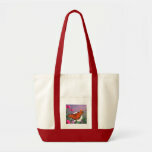 Butterflies are a favorite for many girls and women. In fact they're one of my favorite things. They're beautifully colored. They're graceful. They're fragile. Many are exotic looking. There's nothing not to like about butterflies. If you're interested in symbolism butterflies are also full of meaning. Their metamorphosis from a caterpillar into a butterfly makes the butterfly an important symbol of change. It's also a symbol of the soul, love and rebirth. So apart from being a lovely image to have on your iPhone 5 case it's also one with beautiful symbolism. This blue butterfly is a Blue Morpho Butterfly.These butterflies are among the largest in the world and are found in some of the tropical forests of Latin America. It's not surprising this is an exotic looking butterfly. The blue wings edged with black are exquisite. This deep blue is also a color that is rare in the natural world. 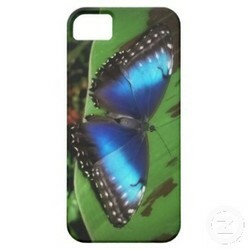 This means this butterfly is a beautiful design for a iPhone 5 cover. 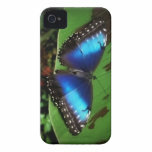 Unfortunately it's very hard to find these blue butterflies in iPhone 5 case designs. 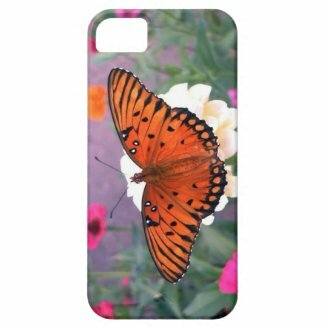 But the one I've featured is a gorgeous choice if you want a case with one of these exotic butterflies on it. Need the iPhone 3 Version? Need the iPhone 4 Version? The Monarch Butterfly is a well known and much loved butterfly. Monarch Butterflies are from the USA and Mexico. So for those of us who don't live in these areas will have only seen them in pictures. They have gorgeous black and amber brown coloring is strikingly beautiful. it's also a coloring that can be highlighted in these lovely iPhone cases with the use of yellow and orange flower colors. 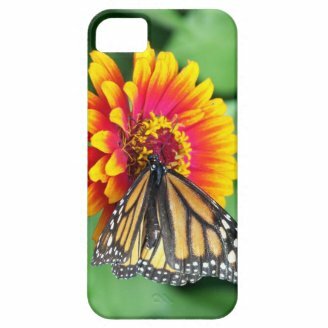 Monarch butterflies can eat the nectar from any flower and both these iPhone cases show a Monarch Butterfly doing just that. 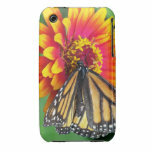 They're a beautiful choice for a butterfly iPhone case. Need an iPhone 3 Case? Need an iPhone 4 Case? Butterflies have a unique shape that makes them perfect for abstract designs. This means an artist can be very creative with the abstract style without losing the butterfly feel. 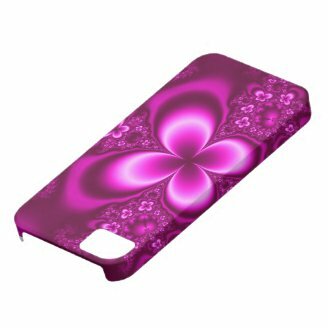 So abstract butterfly cases can be a great idea if you want a butterfly themed phone that's a bit different. These two cases use a differing style of abstract design. One being more "abstract" than the other. Both have an impressive design though so make lovely iPhone 5 cases. 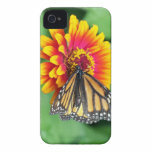 Monarch butterflies commonly appear in butterfly iPhone 5 designs. That makes it easy if you like the look of the Monarch Butterflies. 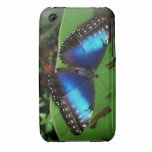 But you can also get more photographic and artistic designs including the abstract butterfly cases. The natural world give designers heaps of wonderful colors, patterns and objects to create with. 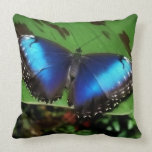 Sometimes colors cannot be improved from what appears in nature, like with the Blue Morpho Butterfly. Other times the patterns and shapes of natural things have such beauty to them. So here's some more articles that focus on iPhone 5 case designs that come from nature.